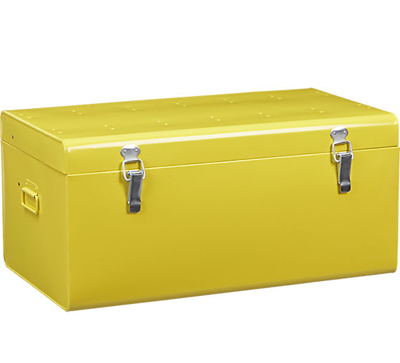 This minimal vintage-style Versus Yellow Galvanized Trunk hides your junk…and blankets, books, towels, bath stuff, art supplies, office paper, photos, you name it. Galvanized sheet metal is powdercoated bright yellow inside to live rust-free. Authentic latches and mini side handles. $149. Buy here.